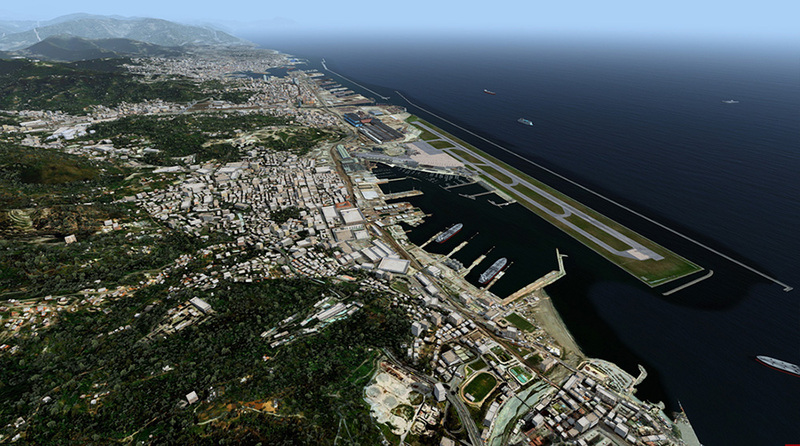 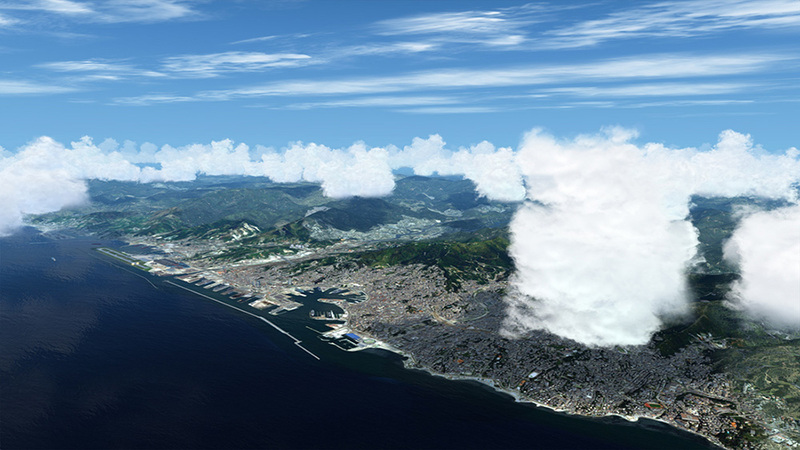 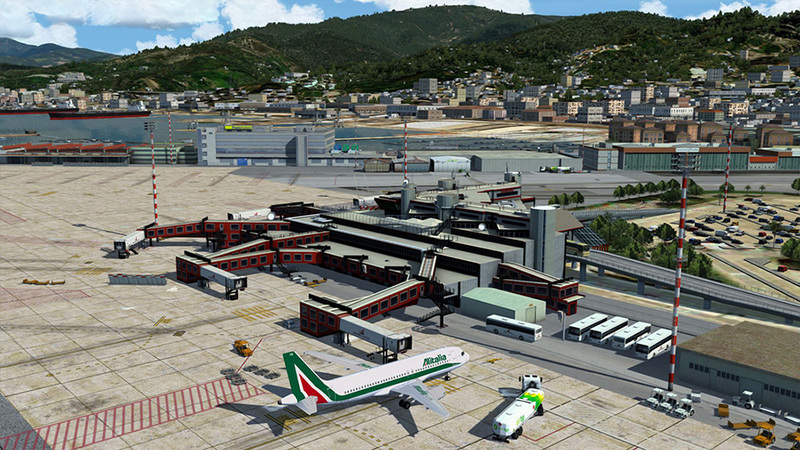 Genoa X is a high end scenery of the famous Italian city of Genoa and its airport. 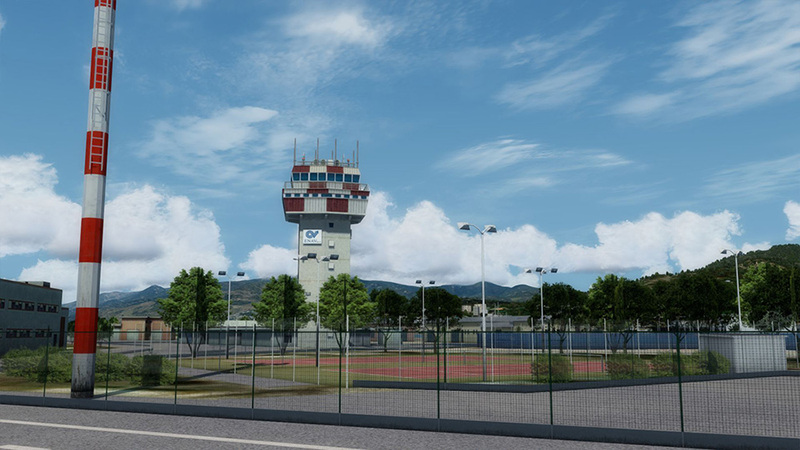 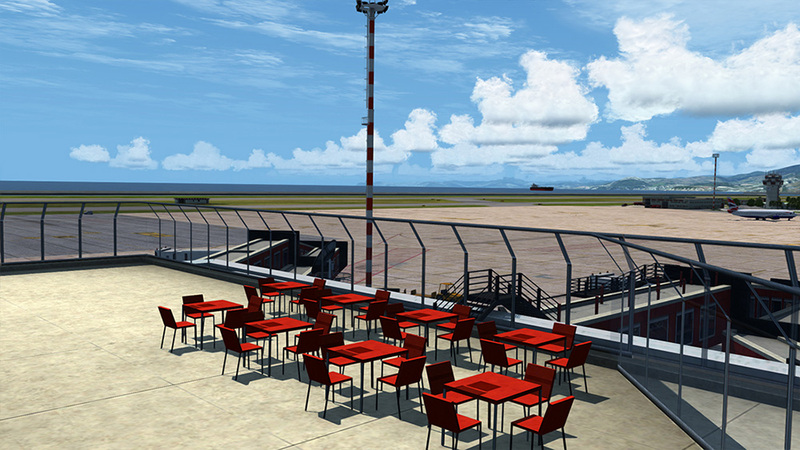 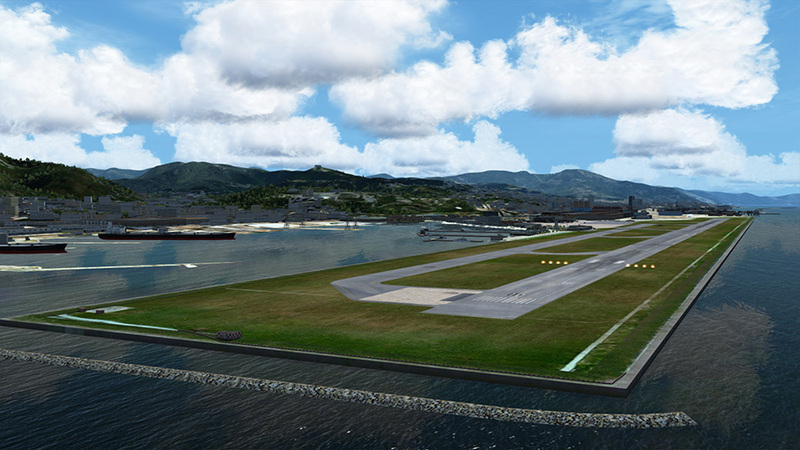 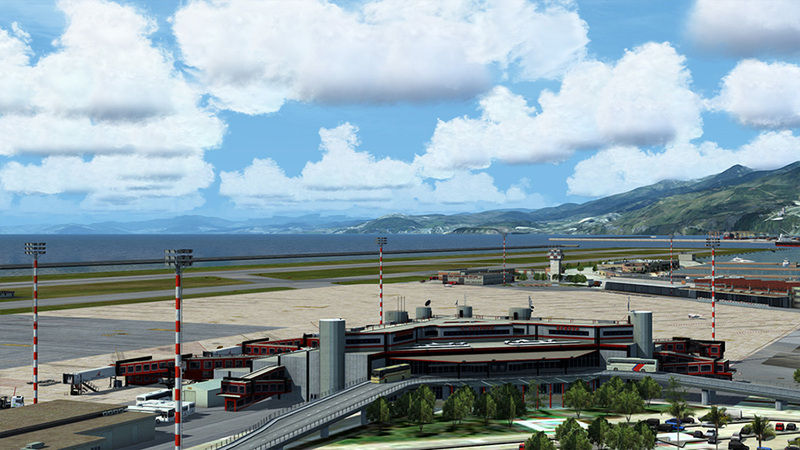 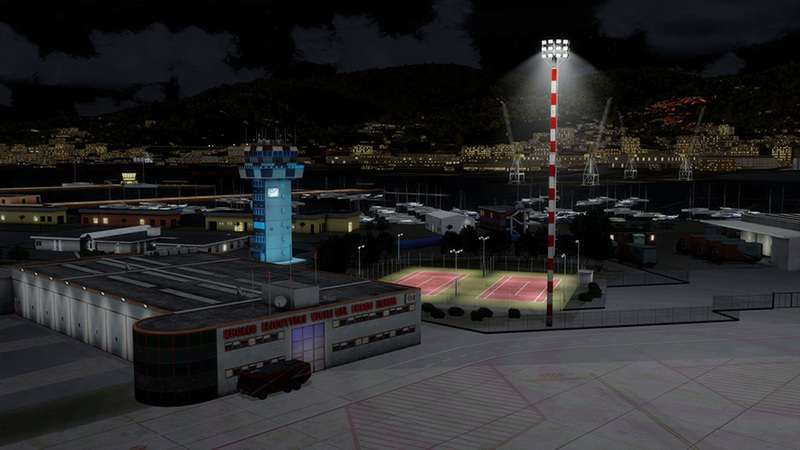 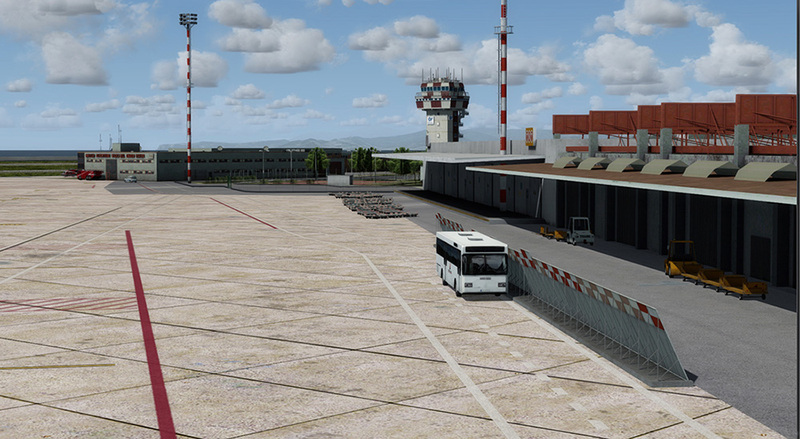 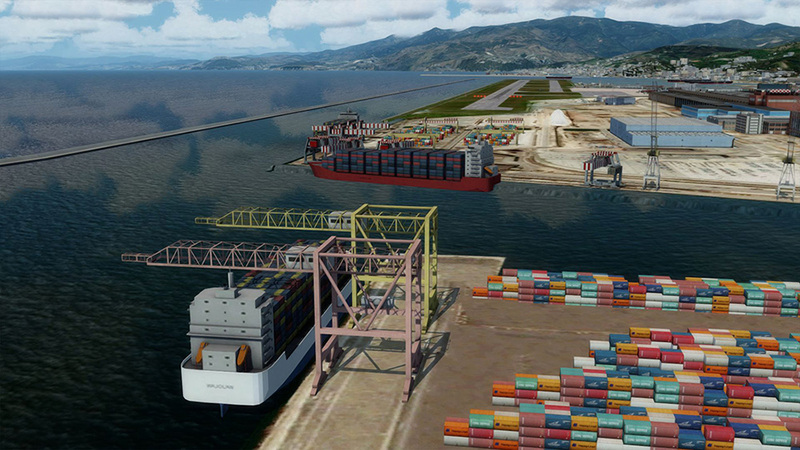 Sestri Cristoforo Colombo Airport is a build on an artificial peninsula next the large harbor. 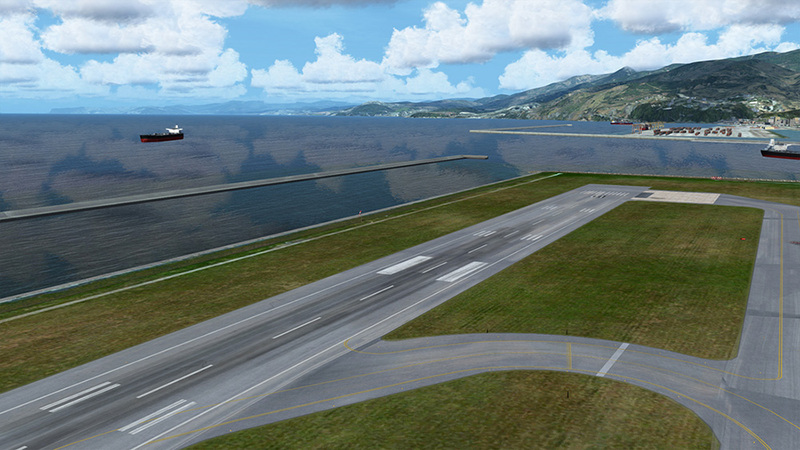 This makes any landing rather special as you fly along the huge ships and cranes just before touching down. 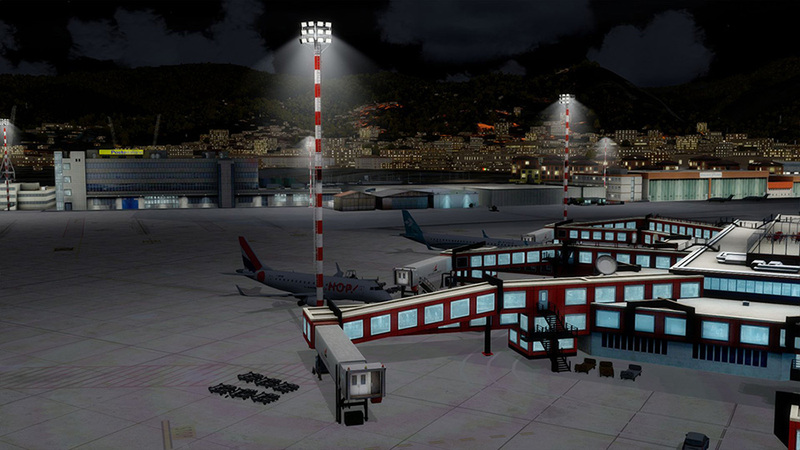 The airport has connections to many cities in Europe and is used extensively by low cost carriers. 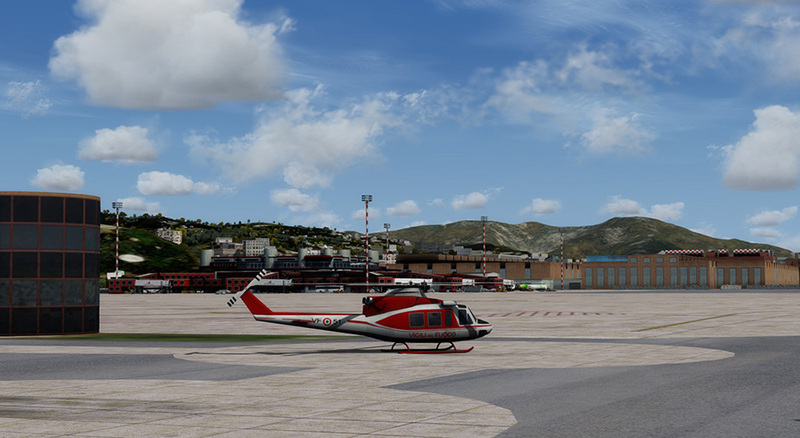 Using the latest technology, it is easy on your framerate and memory making it suitable for the most complex aircraft. 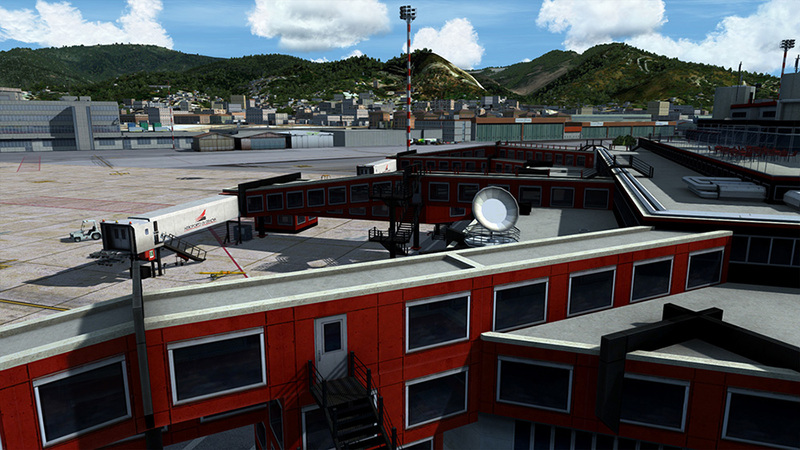 The use of SODE to animate the air bridges and many other objects on the airport make it come to life. 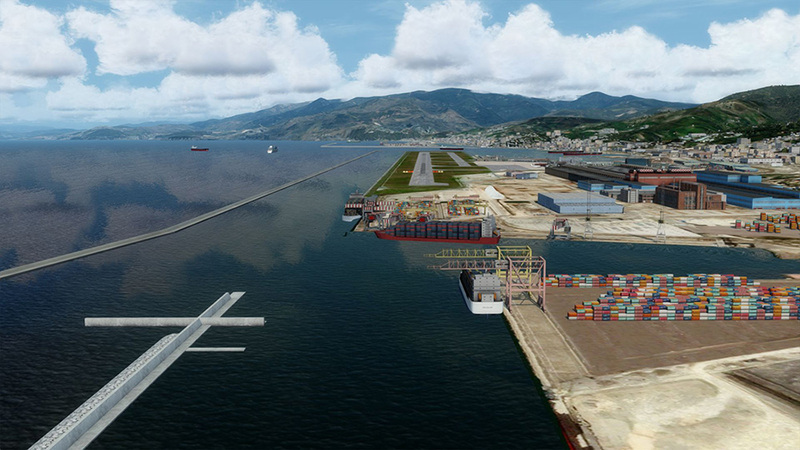 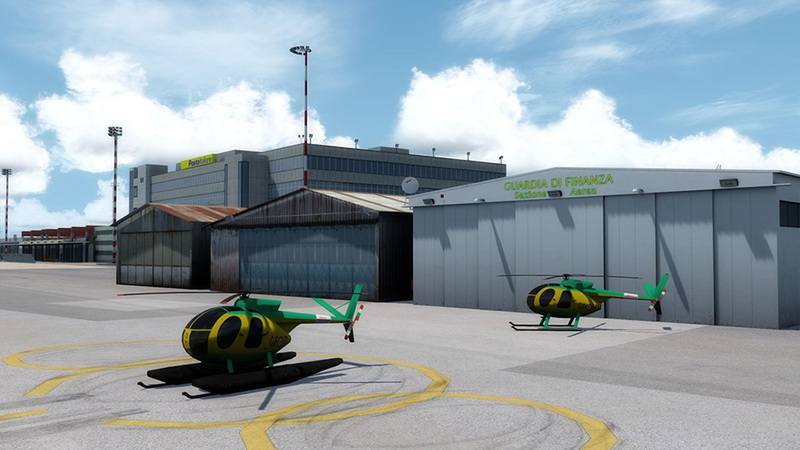 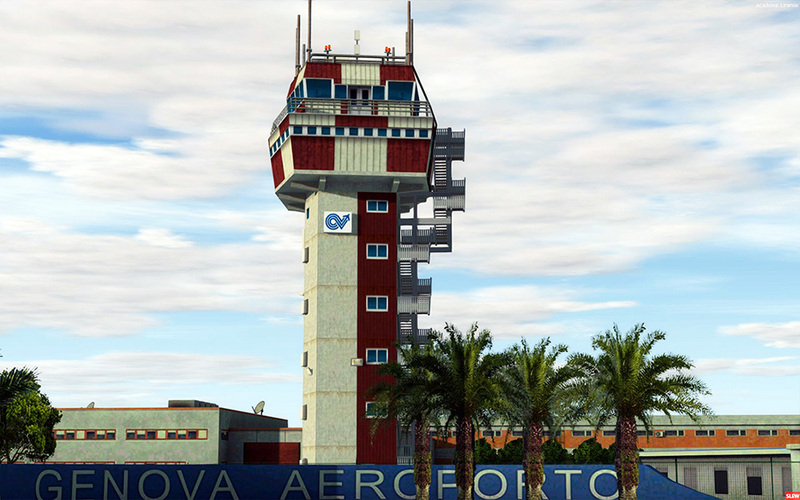 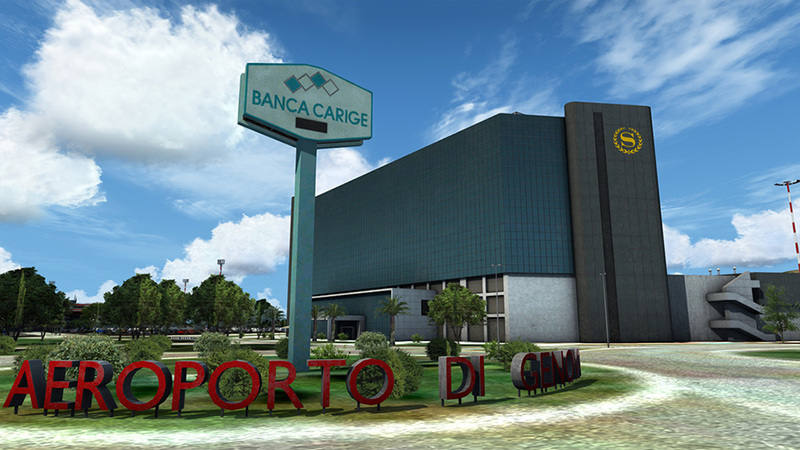 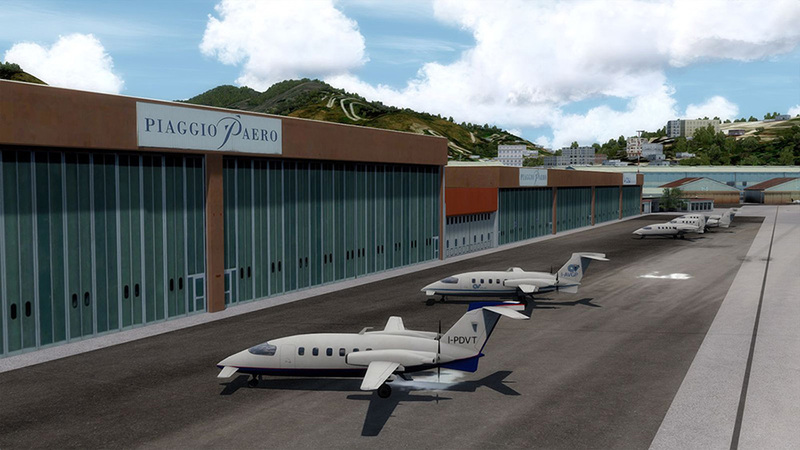 Get Genoa X and add this fascinating airport to your list of destinations. 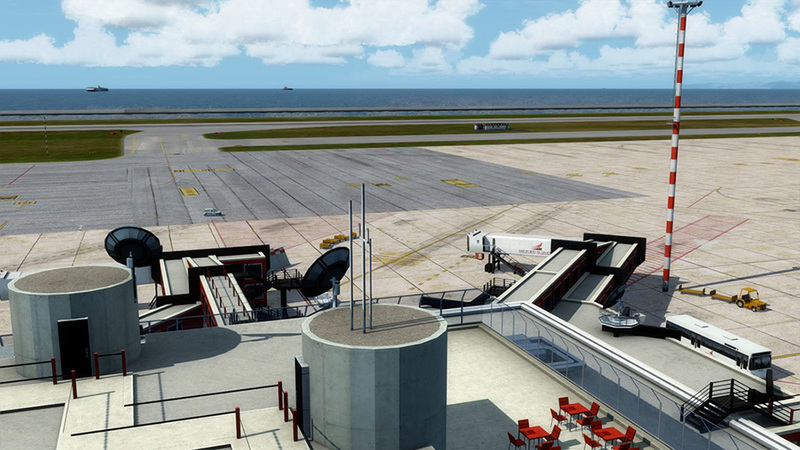 "Overall I was very impressed with this airport. 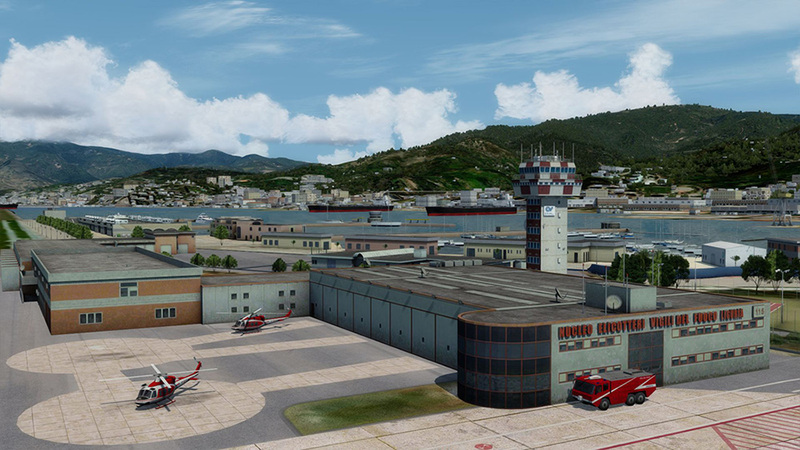 [..] If you were thinking about purchasing this scenery or are on the fence as to what scenery you wish to buy next I would highly recommend picking up this scenery." 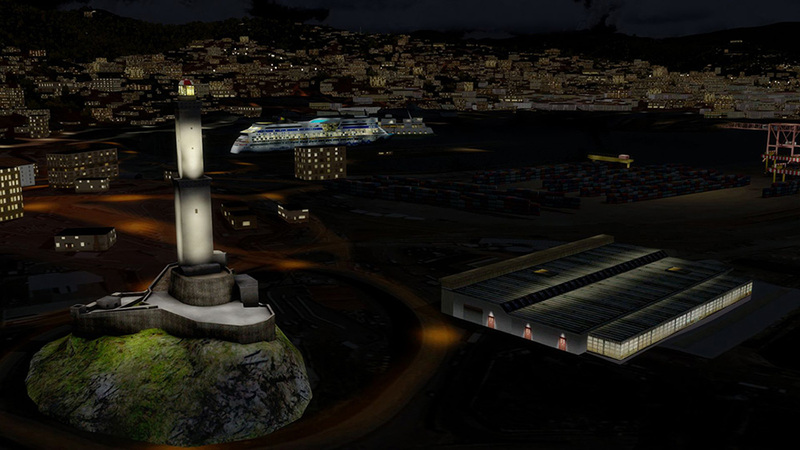 Related links to "Genoa X"